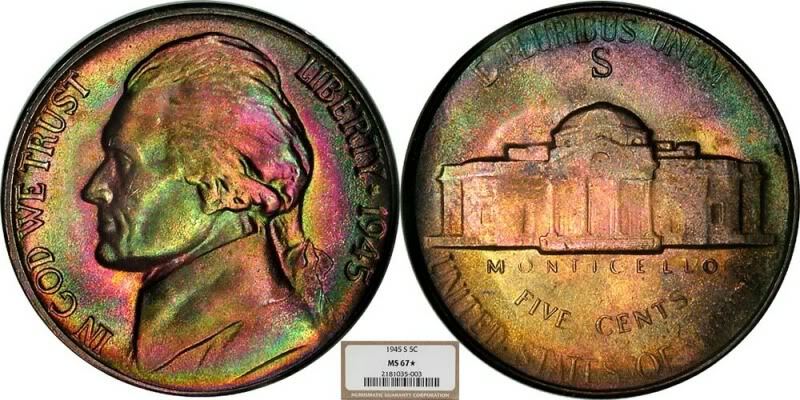 Off-color Jefferson nickels are not rare, and have been seen in hues ranging from smoky blue through deep purple to black. The natural discoloration is caused by an incorrect alloy mix containing significantly higher amounts of copper. Some collectors like these, as some collectors prefer toned proof coins, and will pay a small premium for them. Usually not, though.